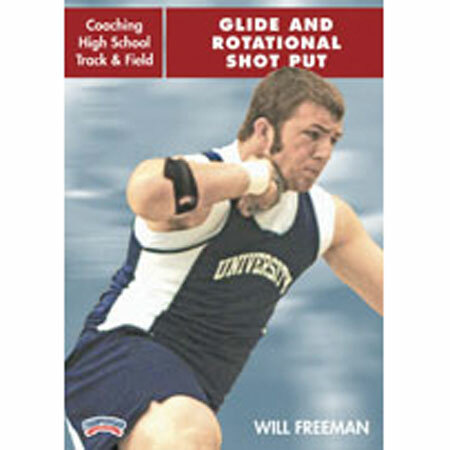 In this excellent instructional DVD, Will Freeman presents a technical breakdown of the Glide Technique, pinpoints the most common errors and offers coaching solutions and corrections to create a more effective glide shot putter. He also shares 10 glide Shot Put training drills. Coach Freeman notes the main differences between the glide and rotational techniques and also provides a technical breakdown of each segment of the Rotational Technique, including common errors and corrections. 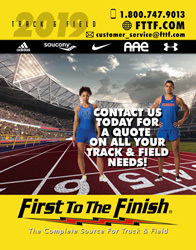 Next, Freeman provides a functional training program for the shot put beginning with strategies for splitting the season into phases, establishing daily priorities, and creating daily session plans. In addition, this DVD provides a segment on lifting and offers a three phase lifting model that takes an athlete through the peak phase of the season. Freeman also offers demonstrations of ancillary training routines that include medicine ball, hurdles and multi-jump exercises. This is the complete program for "Training the Shot Putter." DVD.